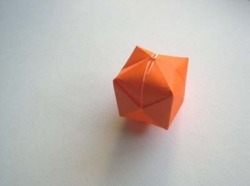 I found this great article that shows you how to make an origami balloon. You can actually inflate it, how cool is that. To make your own just visit the link below.